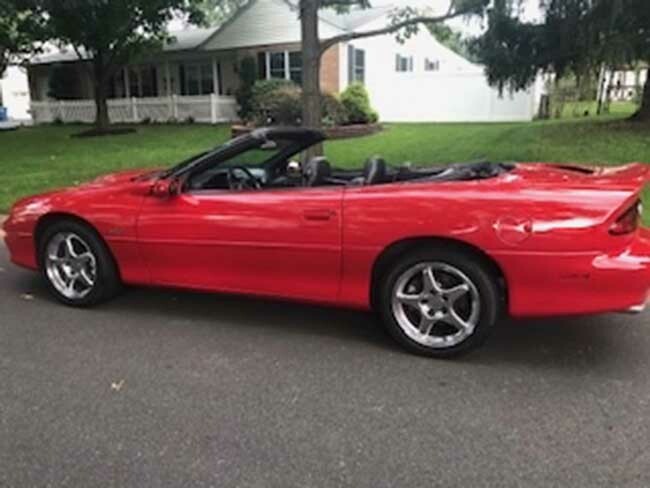 4th gen red 2000 Chevrolet Camaro SS V8 convertible For Sale. 2000 Camaro convertible SS. 5.7 V8 automatic, New paint, new top, reupholstered seats, mad hammer exhaust, looks and runs great. 106,000 miles. Car located in – Harleysville, Pennsylvania, US.